London, Asharq Al-Awsat—In the wake of the Charlie Hebdo attacks in Paris earlier this month, the media is rife with reports of a backlash against Muslims, from mass anti-Islamic protests in Germany to attacks on mosques and Islamic community centers in France. However, at a time when the main focus is on the tensions between Islam and western society, one US-based Human Rights organization is focusing on the important but less publicized phenomenon of racism and discrimination within Muslim society itself. MuslimARC, or the Muslim Anti-Racism Collaborative, is a human rights education organization that aims to address intra-Muslim racism through education, advocacy and outreach, particularly within the US. Dismantling the commonly-held view of the Muslim community as a single, homogeneous bloc, MuslimARC looks at not just how Muslims are perceived by the outside world, but how different Islamic communities are perceived within the Ummah [global Islamic community] itself. “The North American Muslim community is one of the most diverse Muslim communities, making it a microcosm of the global Muslim Ummah. A study that we’re conducting indicates that about 62 percent of North American Muslims have experienced some type of racial or ethnic discrimination in the Muslim community,” MuslimARC Programming Director Margari Hill told Asharq Al-Awsat. “We fulfill a special niche in the US Muslim community by focusing on dismantling racism within Muslim communities. Our work includes online awareness campaigns and on-the-ground workshops, panels, and courses,” she adds. Hill, who grew up in California, converted to Islam when she was 18 and is a prominent Muslim American activist. She is a part time adjunct professor at Delaware County Community College and one of the co-founders of MuslimARC. MuslimARC, established in 2014, has expanded quickly and allied with other anti-racism organizations based in the US including the Council of American Islamic Relations, Take On Hate and South Asian Americans Leading Together. However, unlike their counterparts, MuslimARC is focusing on discrimination against Muslims from within the Muslim community itself as part of the wider fight against racism. “Our goal is to uproot internalized racism because the powerful imagery in media and years of colonization has negatively influenced how Muslims interact with each other. This is necessary because we cannot address Islamophobia as community if we are divided along racial and ethnic lines,” Hill said. MuslimARC, staffed by young American-born Muslims, and whose “vision statement” quotes Malcolm X alongside the Prophet Muhammad, has particularly made use of social media to promote its message. “Our first hashtag conversation in February 2014 #BeingBlackAndMuslim, had over 6,000 users and trended for over 7 hours. Another important conversation was #NotFairAndLovely, which sparked an important conversation on shadeism in Muslim communities,” Hill said. Given the large Black Muslim community in America, and the escalating racial tensions that seemed to define 2014 following the shooting of a number of black youth by white police officers and ensuing race riots in Ferguson, Missouri, Hill says that Black American Muslims can face a kind of “double discrimination”—on both racial and religious grounds. “Yes, our racial and religious identity as Black American Muslims makes us even more vulnerable to invasive policing and surveillance. We are subject to racial profiling and religious profiling; We are also subject police brutality and extrajudicial killings, as with the homicide of Ahmadou Diallo. I have experienced profiling as a Black American on some occasions and as a Muslims on others,” she told Asharq Al-Awsat. Diallo, a 23-year-old immigrant from Guinea, was shot and killed by four New York police officers in 1999 as he stood in the lobby of his apartment in the Bronx. The police fired a total of 41 shots, claiming that they believed he had a gun. Diallo was unarmed. Although all four officers were charged with second-degree murder, they were subsequently acquitted at trial. 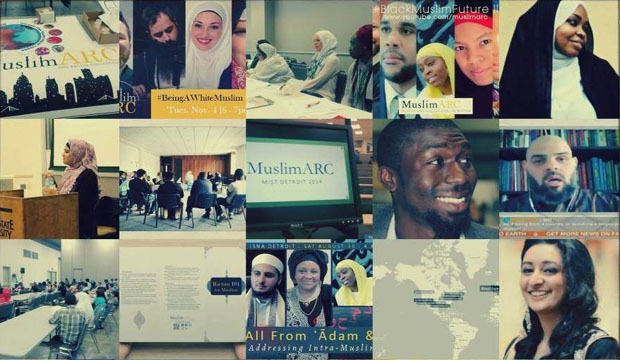 MuslimARC’s first year was characterized by a number of important successes, not least the publication of a “white paper” that provides recommendations for improving race relations within the American Ummah. 2014 for MuslimARC culminated with the ‘Make It Plain-Philly’ rally in December against police brutality. The march through downtown Philadelphia—which has a vibrant Muslim community—was attended by hundreds of American Muslims and saw local and national media coverage. “For me, our biggest success of 2014 was the positive response we received from the Muslim community,” Hill told Asharq Al-Awsat. ← Aaron Sorkin: The End Of The Meta?